Competences and Standards have a significant impact on those who work directly with young children and their families. That’s why we need them for the early childhood workforce! 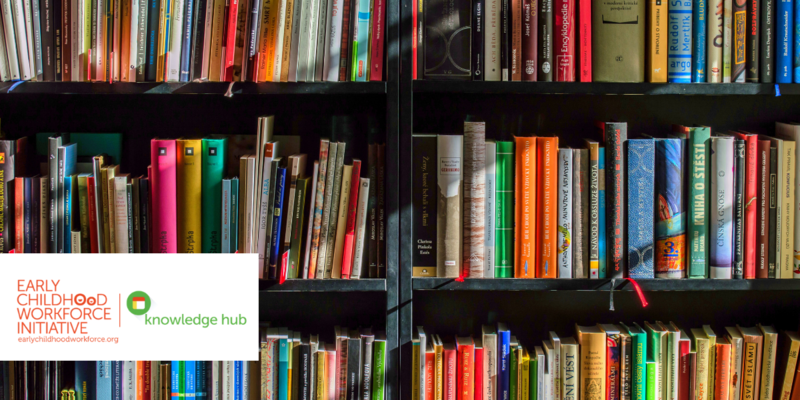 Resources on our Knowledge Hub can answer questions about what Competences and Standards might look like, how they align with the changing demands of the workforce, what training might support reinforce chosen competences and more. What are Competences & Standards? Competences and Standards affect the professionalization of the workforce. They are impact the relevance personnel’s initial training, as well as their continuous professional development, their mentoring, monitoring and evaluation, and their improvement efforts. So, we need them. But, what are they? Competences and Standards are that agreed upon requirements and expectations for what early childhood workers should know and be able to do, as well as the core principles guiding their work with young children and their families. This entails professional profiles of different roles within diverse early childhood services and defining competences at individual, team, institutional and systems level. We have many resources on our Knowledge Hub for this topic – from studies to webinars. Check out some of our most popular and newest resources on the topic Competencies and Standards below. Competences and Standards are a hot topic for users of our Knowledge Hub. Take a look at the resources that are most downloaded below. Part of a series of resources from the Early Childhood Workforce Initiative aiming to better understand the size and scope of the challenges faced by the early childhood workforce. Strengthening and Supporting the Early Childhood Workforce: Competences and Standards focuses on filling the gap in order to identify common approaches and challenges. National Guidelines - Best Practice in Early Childhood Intervention presents eight recommended best practices in Early Childhood Intervention. This text draws upon extensive consultation with key stakeholders in the early childhood intervention sector. The Global Advocacy Toolkit for the Social Service Workforce from the Global Social Service Workforce Alliance focuses on creating a common narrative to advocate for social service workers. It provides tools and tips helpful for developing and implementing an advocacy plan, including how to set up objectives, choose the audience, decide and elaborate the main messages, select the advocacy tools, develop a press release, accompanied by useful examples. We update our Knowledge Hub regularly as we find the latest and most impactful resources available. Take a look at the newest resources touching on Competences and Standards. Voices of child care providers: an exploratory strudy on the impact of policy changes documents findings from a study on child care provider perspectives on how regulation and policy changes impact their work. Researchers used interviews and focus groups with home-based providers and center-based administrators in New York, United States counties. The early years workforce: a fragmented picture, produced by the Education Policy Institute, gathered administrative data about early years providers and staff in England. The aim of this report was to create a clearer picture of the demographics, pay and qualification levels of the early years workforce. The report aims to understand how these characteristics vary across school-based settings, private, voluntary and independent providers and childminders. Recognizing the crucial roles that teachers have in early childhood development, UNESCO developed a competency framework for Early Childhood Care and Education (ECCE) teachers in Southeast Asia. The Framework was realized through a consultative and participatory process, taking into account insights from ECCE teachers, researchers, and practitioners from across Southeast Asia. This webinar is all about Competences and Standards – addressing their significant impact on those who work directly with young children and their families. Here, our panel of experts discusses the challenges in scaling up the early childhood workforce through two case studies targeting children nagged birth to three and their caregivers. We put the spotlight on the notion of early childhood practice being political, and on early years practitioners as activists and change agents. We have even more excellent resources on Competences & Standards stored all in one place. But, don’t take our word for it! See for yourself on our Knowledge Hub.